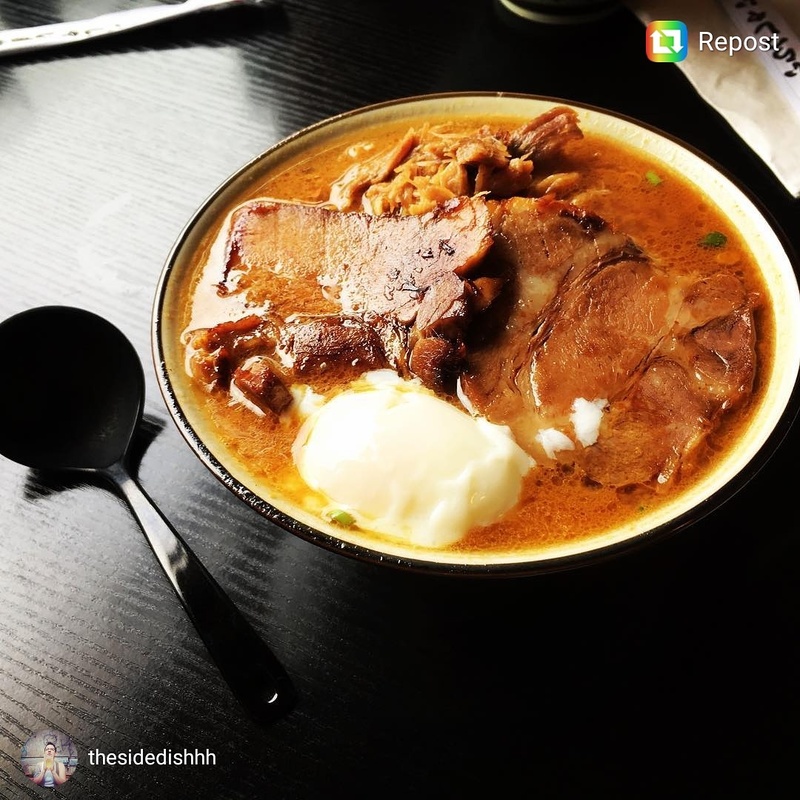 Halifax Ramen Quest - where is the best ramen in Halifax? A while back I polled Twitter and Facebook to see what kind of quest people wanted to see on Eat This Town. The overwhelming response was ramen, followed by phở and sushi. This reinforced my notion that Halifax is ready for the plethora of delicious Asian foods that are increasingly popping up around the city. That’s right. It’s time to go beyond the egg roll, and dare I say your massaman curry and sushi pizza! 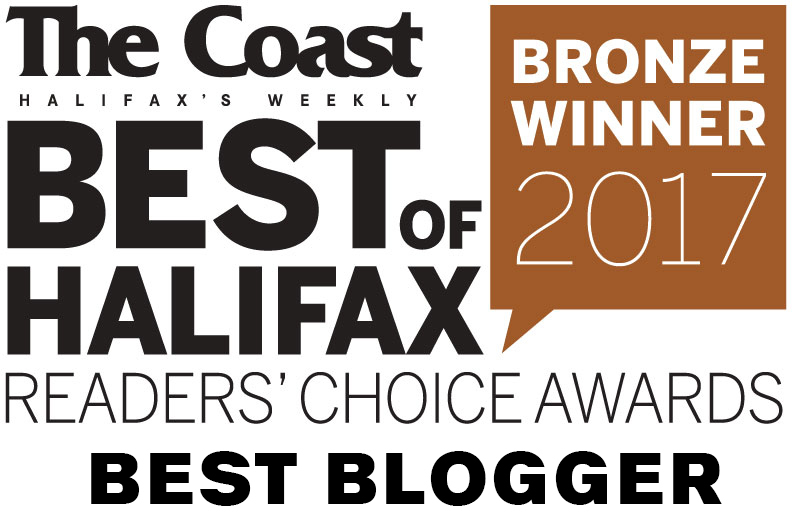 It’s time to find the best ramen in Halifax! Ramen is a Japanese food, but the noodles are Chinese in origin. They are made from wheat flour, salt and an alkaline water that gives them their yellowish hue and bouncy texture. Most people are introduced to ramen via instant ramen – a staple food of college kids everywhere. Instant ramen was invented in 1958 by Momofuku Ando due to food shortages in the post-war era, and is considered one of the greatest Japanese inventions of the 20thC! But if you’ve only had dry packaged noodles with a spice bag, you haven’t begun to experience the flavours and textures of a good bowl of ramen. There are at least 19 regional styles of ramen in Japan, but ramen is also classified by its soup base and seasoning (tare). For example, shoyu (soy sauce) or miso (fermented soy bean paste) ramens are classified by their primary flavouring, whereas tonkotsu (pork bone) ramen is classified by its soup base, which is distinctively rich and creamy. Ramen is also generally finished with an aromatic oil, like chili oil, sesame or garlic oil. The most popular fillings are chasu pork (marinated, braised) and some sort of egg (usually soft cooked or marinated). Veggies may include seaweeds, bean sprouts, cabbage, corn, bamboo shoots and scallions among other things. If you want to delve deeper into ramen, check out the Serious Eats Guide to Ramen Styles. For the first round of this quest, I enlisted Halifax ReTales, Murray Wong (of Eat This Town Ottawa! ), Helen Fong and LuShark. I made scoring sheets to rate these categories: Aesthetic, Broth, Meats & Veg, Noodles and Overall. The spicy miso packed a big punch of flavour while the light shoyu was more subtle, enhancing the delicate flavours from the broth base. Truly Tasty uses a broth base of stewing hen (Oulton’s) and Japanese-style smoked fish (except for the veggie broth which is made from kombu dashi). The bowls were filled to the brim with broth, and you could drink the stuff. I mean, you would want to. There were generous servings of soy braised pork shoulder and shredded pork, but there wasn’t much of a variety of other toppings. Just cabbage, really. We had mixed feelings about the pork, with some of us preferring a fattier cut than the surprisingly lean and firm meat filling up our bowls. A server cracked an onsen (soft cooked) egg into our bowls table side. This was an impressive show, but a few of us have preferences for firmer eggs. No matter! The noodles at Truly Tasty are house-made, and thus need to be eaten right away. They were the straighter variety of ramen noodle, and had a great texture. LuShark ordered the Spicy Tan Tan Ramen which is less broth based, instead resting in an oily pool flavoured with house-made sesame paste and Szechuan black pepper. This was topped with, yet again, shredded chasu pork and lots of cabbage. 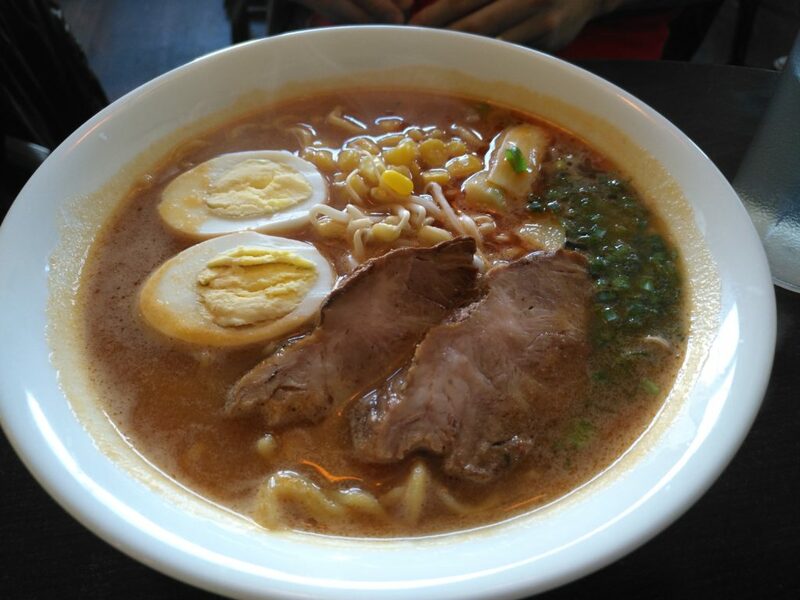 Tan Tan Ramen is derived from the Chinese Szechuan dish, Dan Dan Noodles. It is oily and peppery and LuShark loved it! 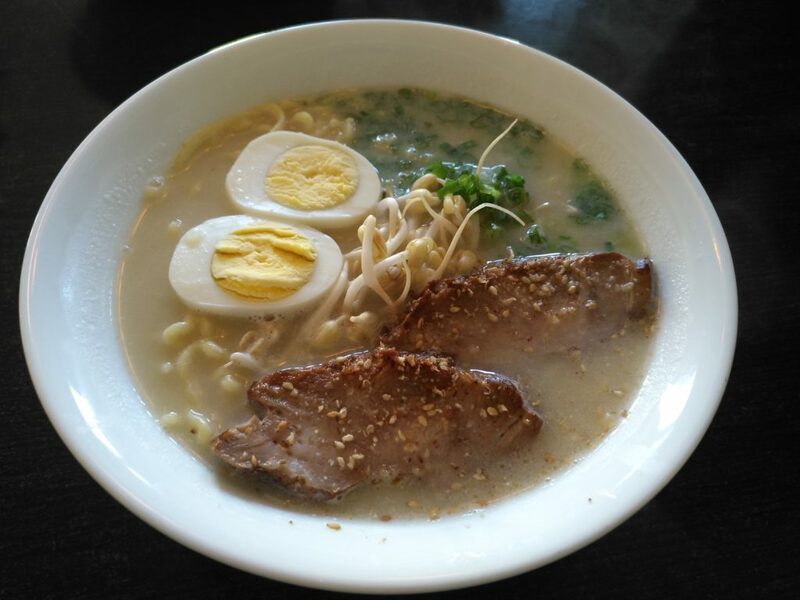 This is authentic, high quality ramen in a no-frills space and you can’t beat the price! I would almost describe it as rustic – it’s just very hearty and has that homemade touch. You can taste the love. B-Well is a casual sushi cafe, and only offers 3 varieties of ramen. We ordered the two meat ramens, avoiding the vegetarian option. Meanwhile, LuShark went full renogade and ordered a sushi roll. The first thing we noticed with this ramen was the noodles; we were pretty sure they were dried noodles from a package. There’s nothing wrong with using dried noodles, but we definitely noticed a difference in quality between these noodles and those at Truly Tasty. The hard boiled eggs were lacklustre compared to the ajitsuke eggs (marinated) or onsen eggs (soft-cooked, like the ones at Truly Tasty) that are generally associated with ramen. However, those of us that don’t care for slimy-soft onsen eggs appreciated the boiled eggs somewhat. There was a variety of vegetables in this ramen – bean sprouts, scallions and bamboo shoots. Murray and Helen split a bowl of miso ramen, which they could have made spicy for an extra $1. Murray was critical of the “overcooked and dry” hard boiled egg, and wasn’t sure if he cared for the broth. Helen didn’t like the noodles, but was happy with the veggies and fatty pork. The absolute highlight of B-Well’s ramen was the fatty pork which had a great barbecue flavour. There was a bit of grumbling by those who don’t like fatty meats, but generally this was very well received! ReTales and I split the tonkotsu ramen which seemed rather bland for what should be a richly flavoured broth. 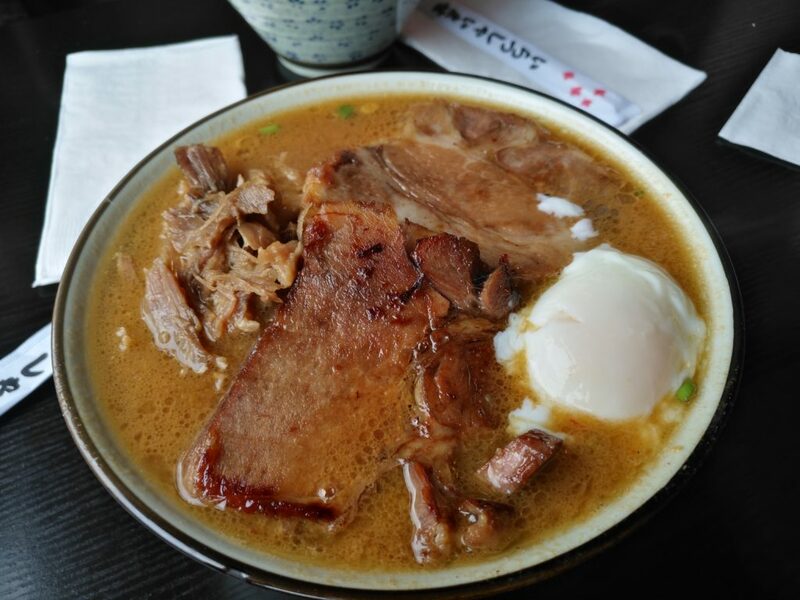 We loved the flavours and textures of the pork, but this wasn’t enough to elevate this ramen above the superior broth and noodles at Truly Tasty. As for LuShark’s sushi – she was really impressed! In terms of scores, Truly Tasty dominated B-Well in every category except for Meat & Veg, in which they tied. Truly Tasty gets points for its generous portions of local pork, while B-Well won us over with its full flavoured barbecue pork. The Final Score was 101.5 for Truly Tasty to 66.5 for B-Well. Truly Tasty had far superior broth and noodles, made masterfully by a specialized, family-run shop. It’s hard to beat that. This ramen is simple, rich and filling. 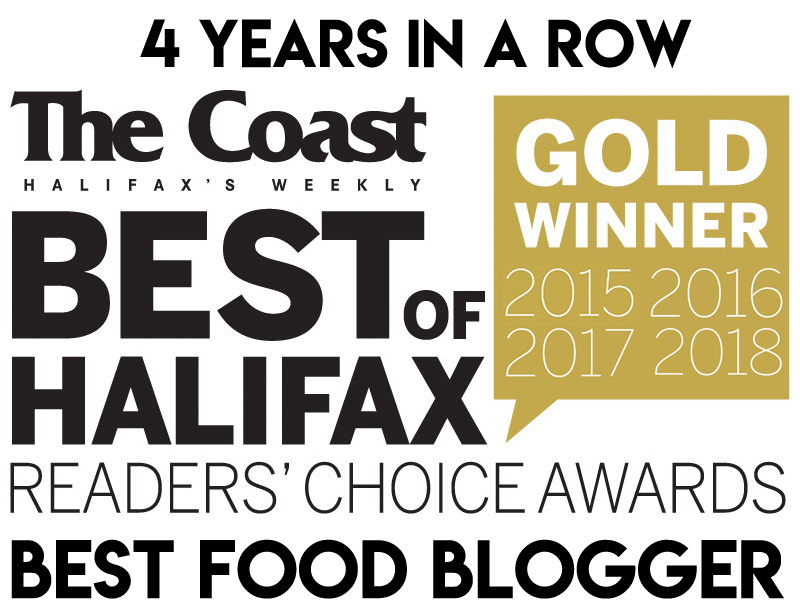 Does Truly Tasty make the best ramen in Halifax? Don’t miss a single post – subscribe by e-mail or make sure your Facebook notifications are turned on for Eat This Town! I could not agree more! Truly Tasty is just that! Here’s the issue with Truly Tasty: its schedule. For example, on Saturday it’s open for just TWO AND A HALF HOURS. Also, very often they are closed because they just felt like it. And the few times a day it’s open (if they decided to open that day), it’s packed. People argue “you should follow their facebook page where they announce if they will be closed that day”. No thanks! If getting some ramen requires me to follow facebook and plan my day so I can be in a packed restaurant in the tiny window of time it’s open, I’ll just stay with one of the many other ramen options the city offers! Thank you for pointing this out. No doubt it is valuable information for people. I had two failed attempts before I realized I ought to follow the Facebook page. In my opinion, if the food is good enough, I will plan around these sorts of inconveniences. Truly Tasty has a very strong following, so I guess not everyone is deterred. I know that they are a small family-run business, so if the cook is sick there is no ramen. Will you visit the new place on Morris? Just passed it on Thursday (Feb. 1) and it looked great. It might be where Hamachi House used to be.